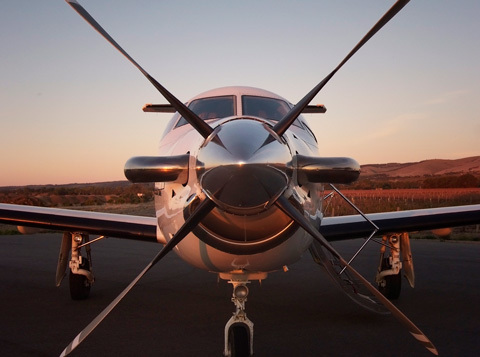 Fast becoming a legendary aircraft in Australia, this fantastic single engine turboprop is now available for charter from Adelaide Biplanes here at Aldinga. 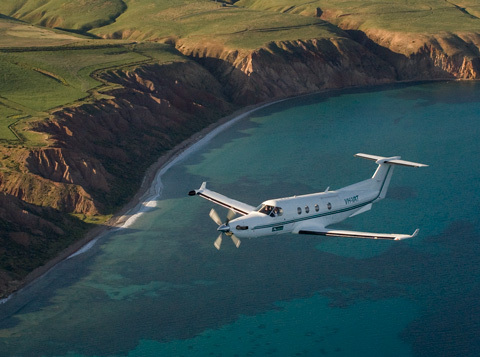 Rugged enough to be used by The Royal Flying Doctors, this aircraft offers fast, pressurised and comfortable transport over a range of 1000 nautical miles carrying a payload of 1200 kgs. 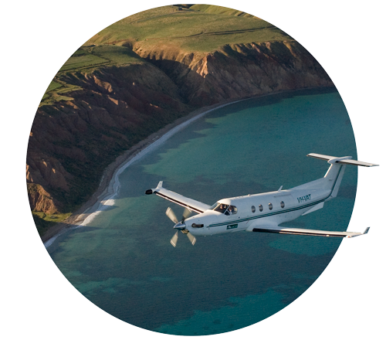 Cruising at 260 knots true airspeed above the summer thermals, what better way to transport you, your family, friends or colleagues for that trip that you have been planning to take. 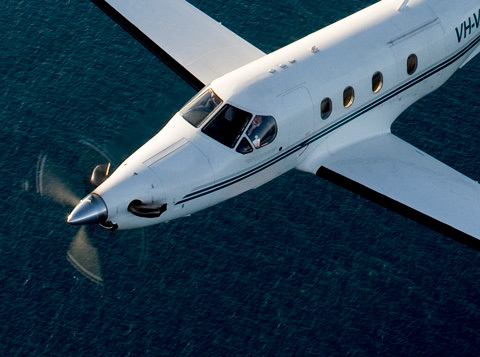 With up to 10 passengers and plenty of room for baggage, the cost per seat mile becomes cheaper than the ubiquitous Cessna 172! Single engine, yes, but what an engine! The venerable Pratt and Whitney PT6 turbine engine provides 1200 shaft horsepower in this installation. It does it reliably, day after day after day, for some 5,000 hours flying, before needing overhaul. More reliable than piston engines by huge margins, there are thousands of these engines in service around the world. 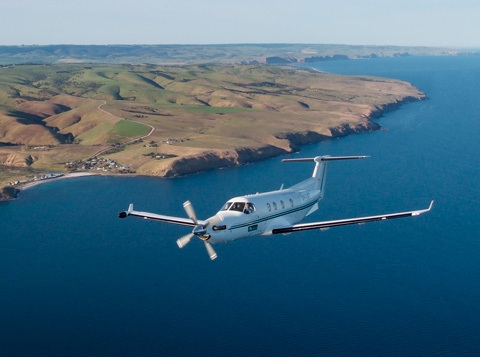 Do yourself a favour, fly the Pilatus PC12! This PC12 is operated by Platinum Aircraft Charter Pty Ltd, AOC Number CASA.TAAOC.0579.